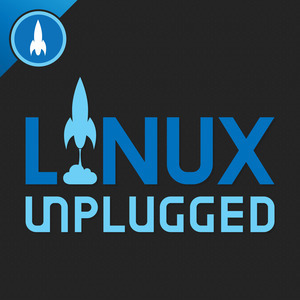 297 episodes of LINUX Unplugged since the first episode, which aired on August 12th, 2013. Atari has released details about its upcoming Linux powered console, some of us are sold… And some of us are rather skeptical. A major Internet monopoly might just be on the edge of cracking thanks to free software, a bit of initiative, and a lot of gumption. We'll follow up on a major experiment we kicked off last week. Free Software projects concerned about Article 13 are claiming it could destroy free software as we know it. We debate this controversial copyright law about to be voted on in the EU. There is trouble at CopperheadOS, Plasma has a shiny new release, and we share the story of how Linux has powered the curiosity rover for 17 years. Microsoft has purchased GitHub, sending shock-waves through the free software community. We discuss the bidding war that took place, and it leaves us questioning what the future of Electron might be. After we make ourselves at Gnome, we look at some future open source goodies coming your way, look at how Canonical’s upstream pitch, and get excited about the next great Linux filesystem hope. What is the best laptop for Linux in 2018? How about the best Evernote killer, and production setup? We cover the best of the best this week.